For the First Baptist Church in Springtown, Imperial completed a total demolition and remodel of the interior of the sanctuary. This project was fast tracked and work was performed around the clock to complete the project in 90 days. 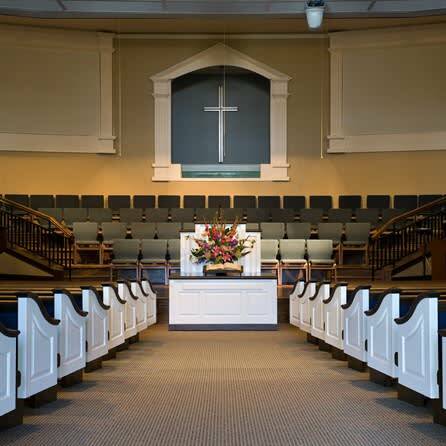 The scope of work included: all interior walls, new balcony egress with exterior and interior stairs, new entry with high ceilings, new flooring, pews, ceilings, lighting, audio/visual system, HVAC system, electrical and restrooms.